For our guests on a budget we have standard rooms where the shower and toilet are in the hallway which you would share with a maximum of three other rooms. The room has a small flatscreen TV, Wi-Fi access, a table, chair, mirror, wardrobe and some have a balcony. 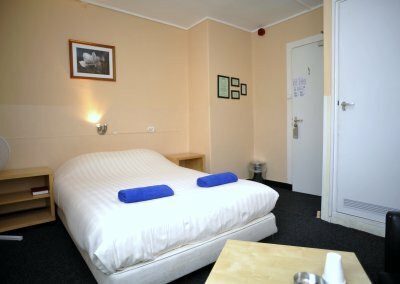 The beds are very comfortable and all bedding is included. A bathtowel is provided and changed on a daily basis. 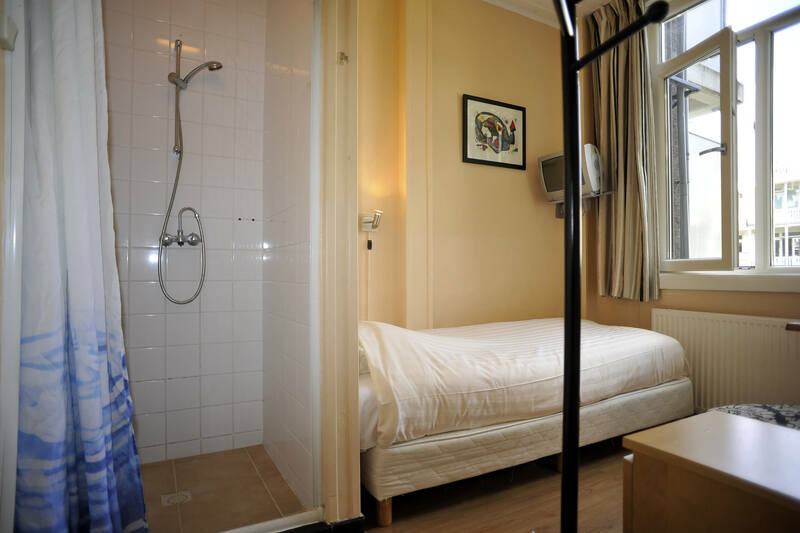 If you are after that little bit extra comfort and privacy, we have rooms with private shower and toilet in the room. 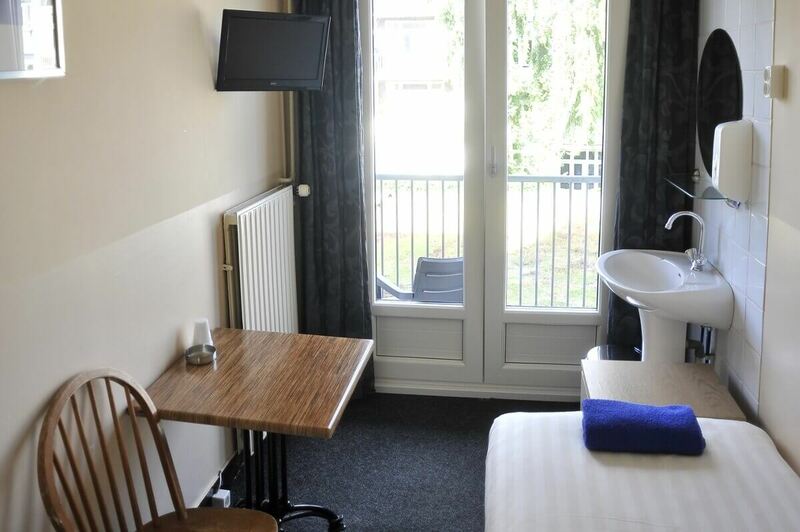 The room has a small flatscreen TV, Wi-FI access and a table, chair, mirror, wardrobe and some have a balcony. 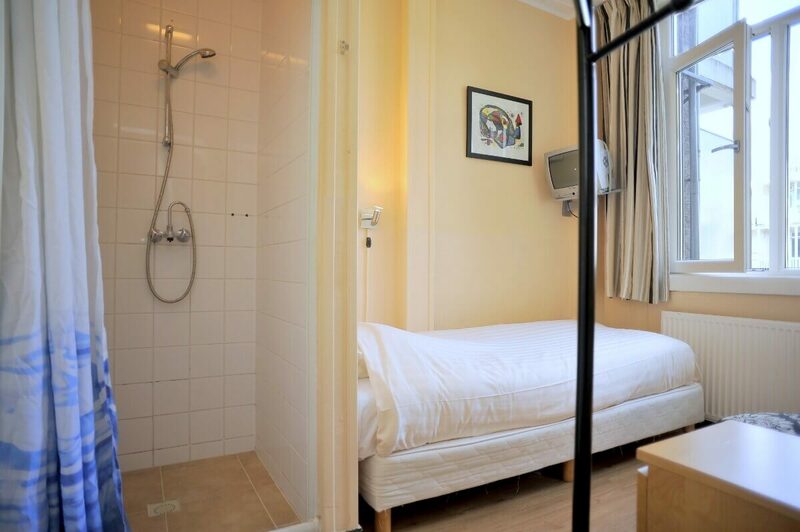 Standard twin room where the shower and toilet are located in the hallway shared with a maximum three other rooms. A twin or double room with a private bathroom located inside the room. The room has a small flatscreen TV, WiFi access, a table, chair, mirror, wardrobe and some have a balcony. 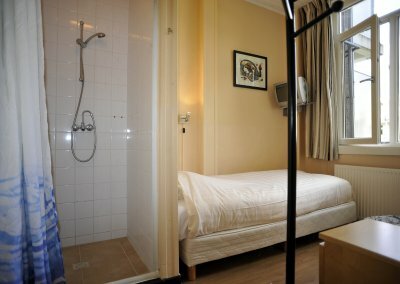 Standard triple room where the shower and toilet are located in the hallway shared with a maximum of three other rooms. 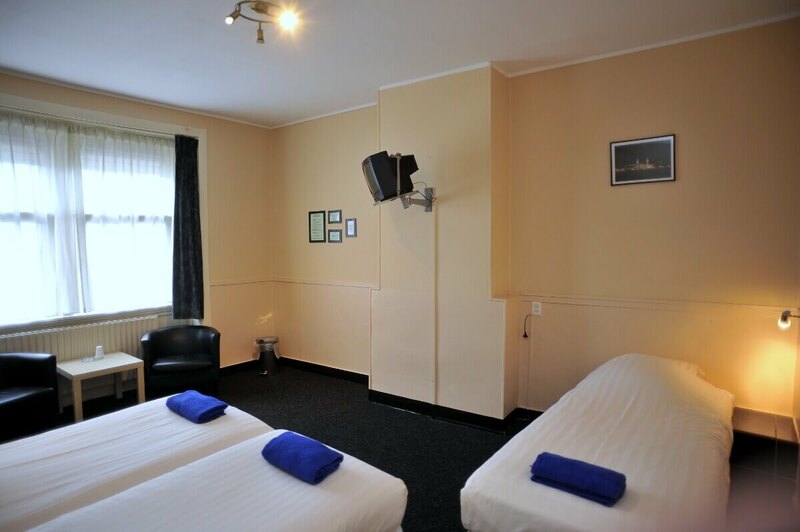 If you are after that little bit extra comfort and privacy we have rooms with private shower/wc. 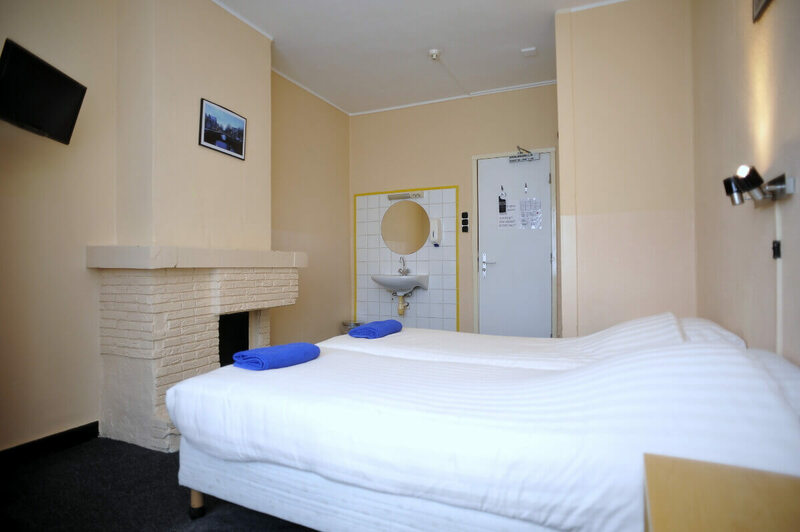 For friends and families we have a quad room, which consists of two twin rooms with an adjoining private shower and toilet accommodating four people. 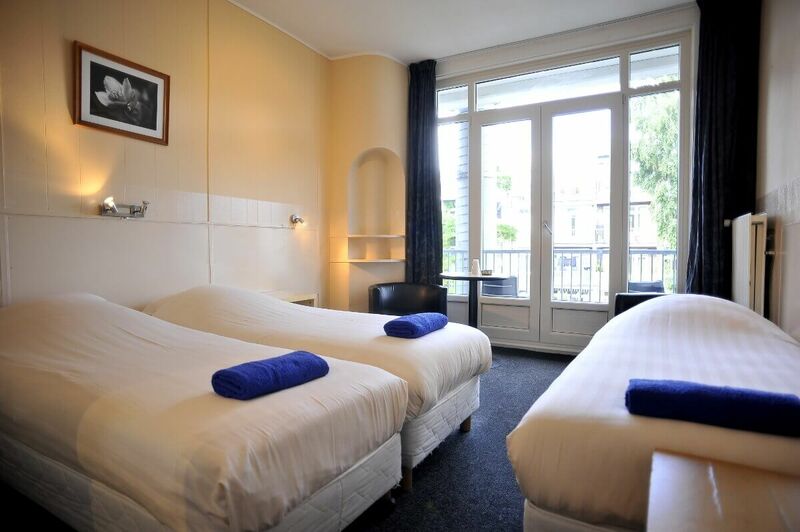 Some of our quad rooms have a balcony shared between the two rooms. 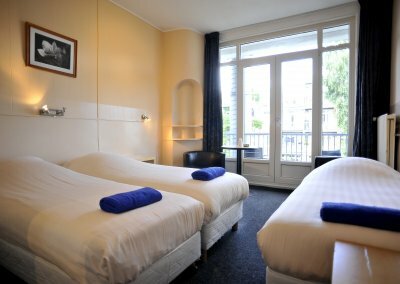 The room has a small flatscreen TV, Wi-Fi acces, a table, chair, mirror, wardrobe and some have a balcony.